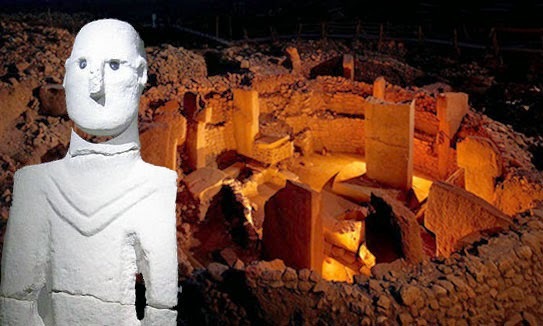 Predating Stonehenge by 6,000 years, Gobekli Tepe upends and shatters the conventional view of the rise of civilization. Found buried under an ancient city in southeastern Turkey, one of the most startling archaeological discoveries of our time: massive carved stones over 11,000 years old, crafted and arranged by prehistoric people who had not yet developed metal tools or even pottery. These astonishing megalithic structures are over 8,000 years older than King Tut and may be the site of the world's most ancient temple. 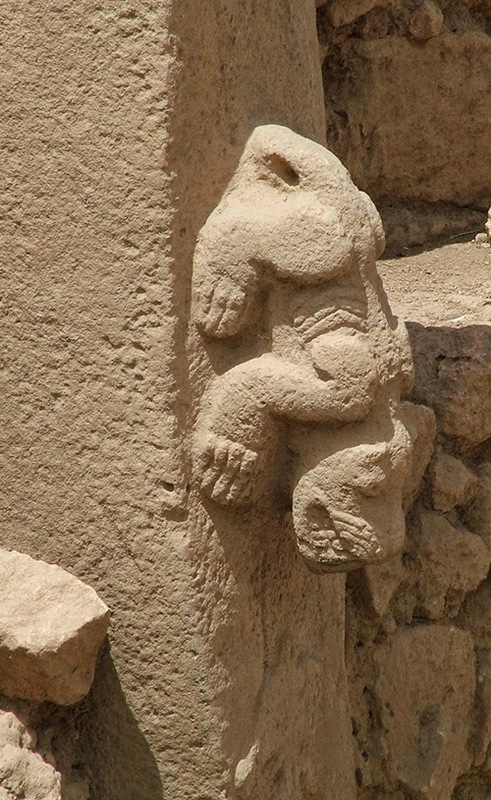 Gobekli Tepe was first examined, and dismissed, by University of Chicago and Istanbul University anthropologists in the 1960s. As part of a sweeping survey of the region, they visited the hill, saw some broken slabs of limestone and assumed the mound was nothing more than an abandoned medieval cemetery. It wasn't until 1994 that German archeologist Klaus Schmidt, with five colleagues, uncovered the first megaliths buried so close to the surface they were scarred by plows. As the archaeologists dug deeper, they unearthed gigantic stone carved pillars arranged in circles. Over 11,000 years ago, it appears that part of the Gobekli Tepe complex may have been used as a calendar sanctuary. In the center stood a Tree of Life, around it were erected 12 massive poles, and a zodiac of 12 stone carved animals that symbolized the solar year of a dozen months of 30 days each, a total of 360. We can see examples below of the same calendar division of 360 for the solar year used by the Egyptians and Aztec. "They had wild sheep, wild grains that could be domesticated — and the people with the potential to do it," Schmidt says. In fact, research at other sites in the region has shown that within 1,000 years of Gobekli Tepe's construction, settlers had corralled sheep, cattle and pigs. And, at a prehistoric village just 20 miles away, geneticists found evidence of the world's oldest domesticated strains of wheat; radiocarbon dating indicates agriculture developed there around 10,500 years ago, or just five centuries after Gobekli Tepe's construction. Scholars have long believed that only after people learned to farm and live in settled communities did they have the time, organization and resources to construct temples and support complicated social structures. But Schmidt argues it was the other way around: the extensive, coordinated effort to build the monoliths literally laid the groundwork for the development of complex societies. The immensity of the undertaking at Gobekli Tepe reinforces that view that the monuments could not have been built by ragged bands of hunter-gatherers. To carve, erect and bury rings of seven-ton stone pillars would have required hundreds of workers, all needing to be fed and housed. What was so important to these early people that they gathered to build (and bury) the giant stone rings? The gulf that separates us from Gobekli Tepe's builders is almost unimaginable. "They had wild sheep, wild grains that could be domesticated—and the people with the potential to do it," Schmidt says. In fact, research at other sites in the region has shown that within 1,000 years of Gobekli Tepe's construction, settlers had corralled sheep, cattle and pigs. And, at a prehistoric village just 20 miles away, geneticists found evidence of the world's oldest domesticated strains of wheat; radiocarbon dating indicates agriculture developed there around 10,500 years ago, or just five centuries after Gobekli Tepe's construction.